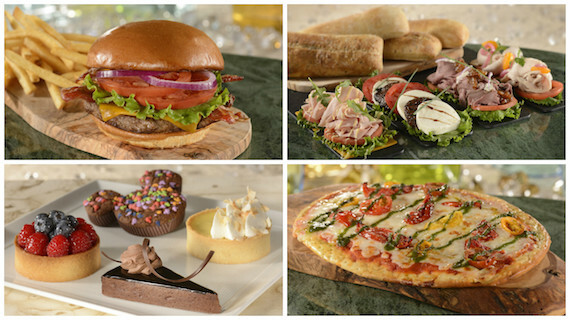 Opening is set for late summer for Flying Fish Restaurant at Disney’s BoardWalk Resort at Walt Disney World® Resort. The “Cafe” goes away as part of the name, and you will be welcomed to a sophisticated interior that still pays homage to the golden era of seaside boardwalks. 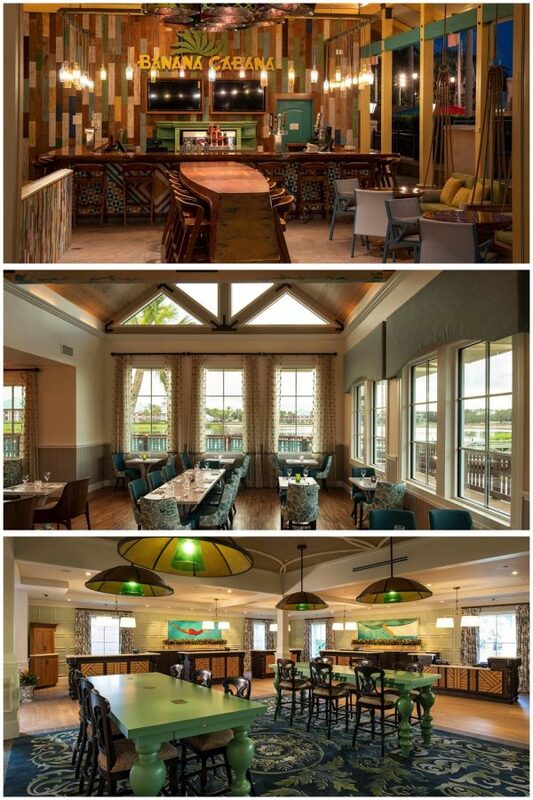 A new menu will feature sustainable fish, as well as a new Fruits of the Sea appetizer with rock shrimp and clams from Florida, grouper cheek, mussels, a splash of Brandy and a rich lobster stock. 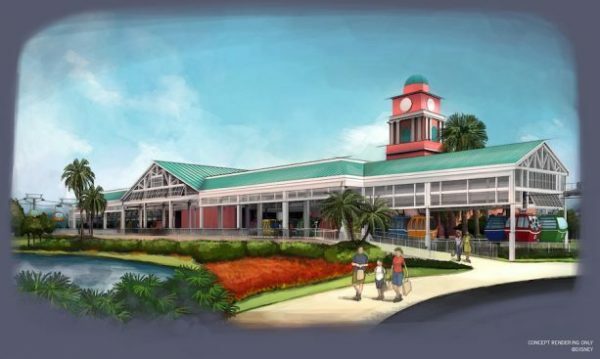 Inside, Flying Fish Restaurant will feature an all-new kitchen and dining room (with expanded space for private dining events), sparkling architectural accents, like golden-winged room panels and an impressive chandelier that mimics a school of flying fish overhead. Next door, the new AbracadaBar lounge will open, taking the spot formerly occupied by Seashore Sweets candy and ice cream shop. 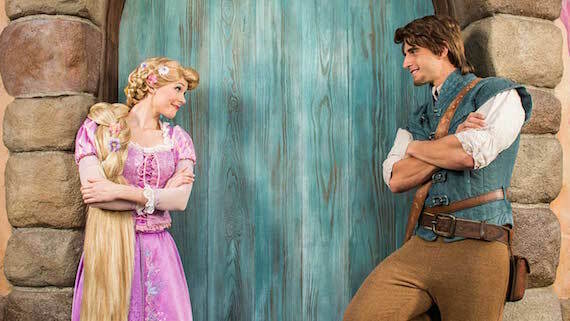 This new “curious cocktail lounge” combines the Golden Age of Magic with the magic of Disney storytelling. From enchanted magic show posters and mystifying mirrors to vintage props and tricks, AbracadaBar promises to be just as surprising and magical as its name suggests. 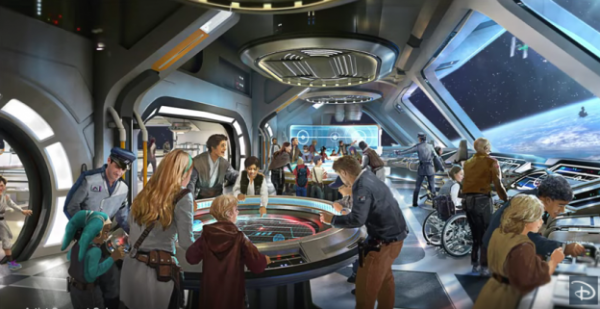 I’m also wondering if they’ll use any elements from dearly-missed Adventurers Club in the AbracadaBar. 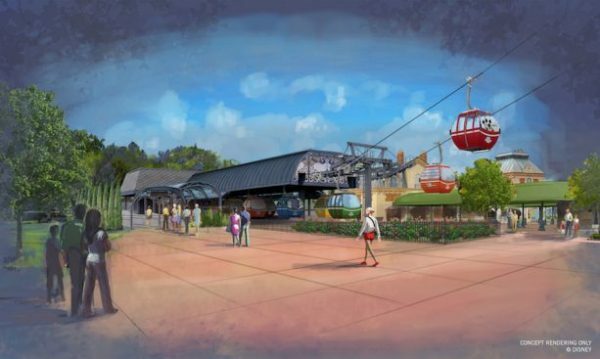 I can think of a few things from there that would fit in with the “golden age of magic.” I suppose I’ll find out soon enough, but I really can’t wait for this place to open! Ah! Disney Vacation Club… Disney’s “best kept secret.” Or, as I like to call it, “Disney’s Most Insidious Marketing Ploy.” Here you are, in the middle of enjoying a dream Disney Vacation, and there they are, telling you how much money you’ll save on your next Disney Vacation by purchasing a timeshare. You’re already thinking about how much you want to come back next year, but worried about how much it cost you. But wait! 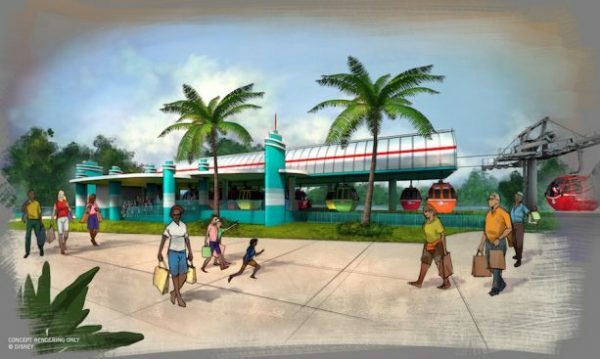 You can come back soon, and stay at a Deluxe Resort for the cost of a Value Resort! All you have to do is make a long term financial commitment and the dream of yearly Disney vacations can be yours! 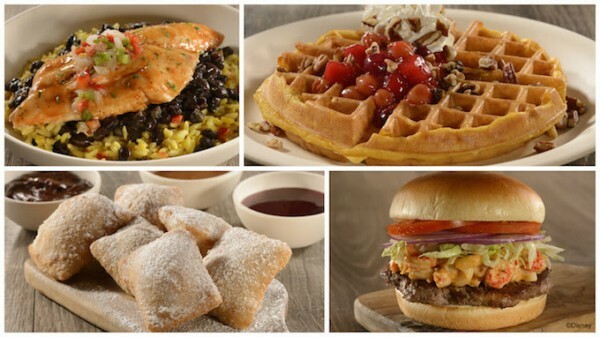 With all the money you’re saving, you won’t need those discounts and offers Disney regularly makes to the masses. 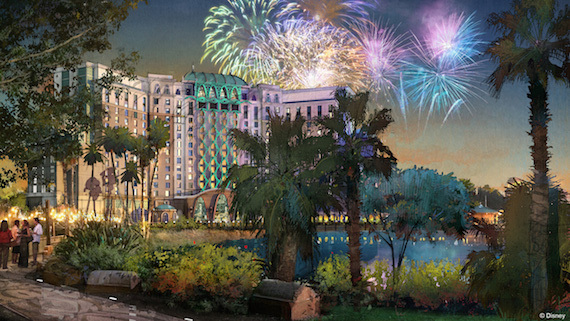 Who needs 35% off the price on your rooms, discounts on theme park tickets, and Free Dining when you can be saving money by locking yourself in to paying thousands of dollars at full price AND constantly increasing annual maintenance fees? 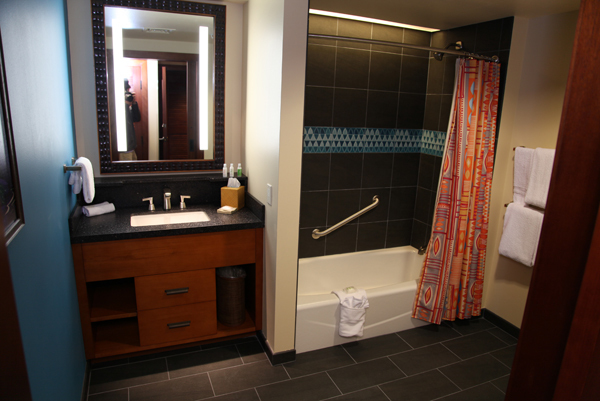 Now I’m sure you came here to look at pictures of the new Polynesian DVC Villas Deluxe Studio Room, and not read my long-winded opinion on whether or not purchasing a DVC membership timeshare can really be considered “saving money.” So I’ll get back to the topic at hand. Of course, both have toilets. 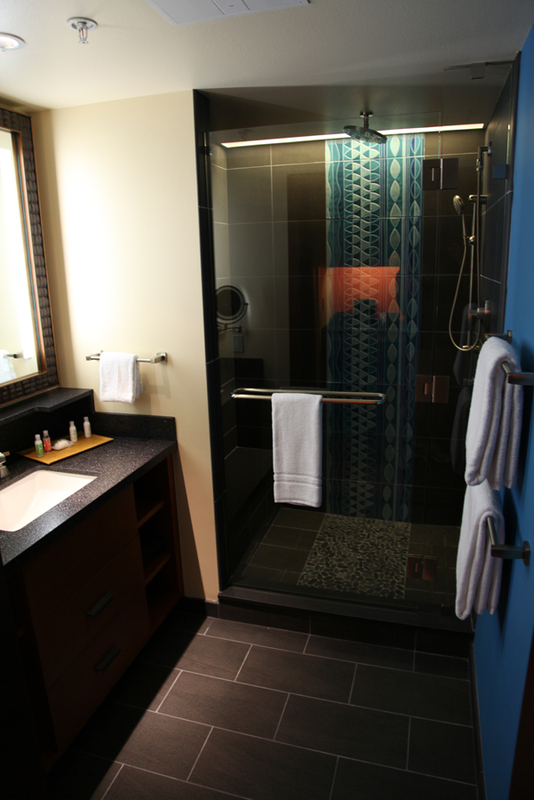 The two bathrooms is a big plus, especially if you’ve got 5 people sharing the room. But where does that 5th person sleep? 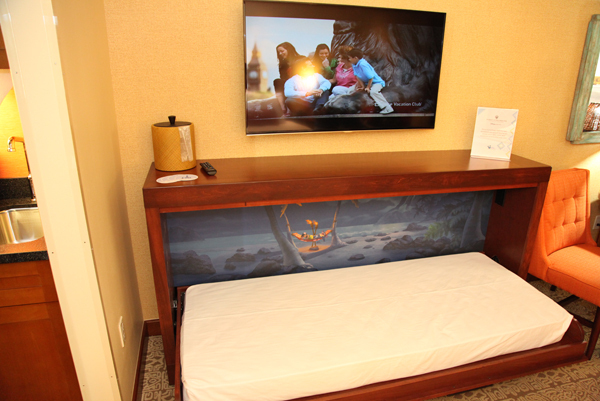 A pull-down armoire bed complete with painted artwork from Lilo & Stitch. Because you have to have Lilo & Stitch if it’s Disney and related to Hawaii. 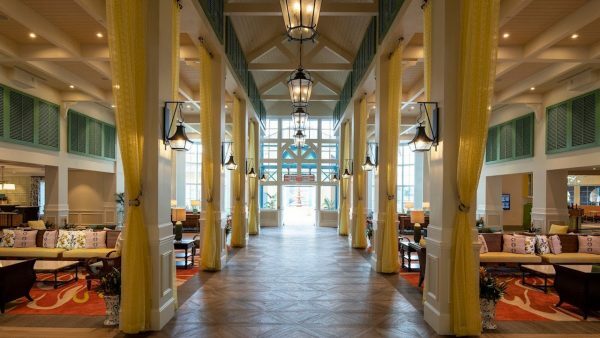 Overall, these rooms do look great, and I’m sure that DVC members will be excited to stay in them. 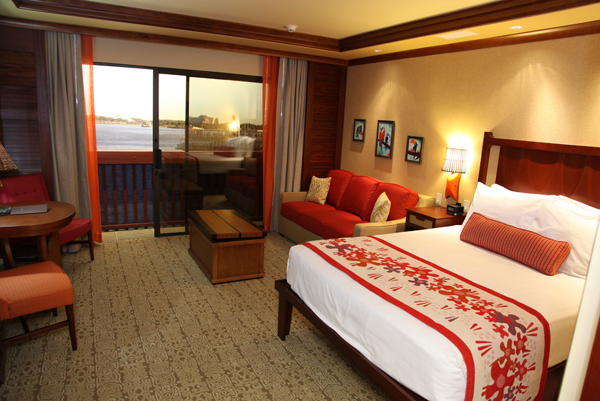 As for me, I’ll stick with a heavily discounted theme park view room at the normal Polynesian Village Resort. 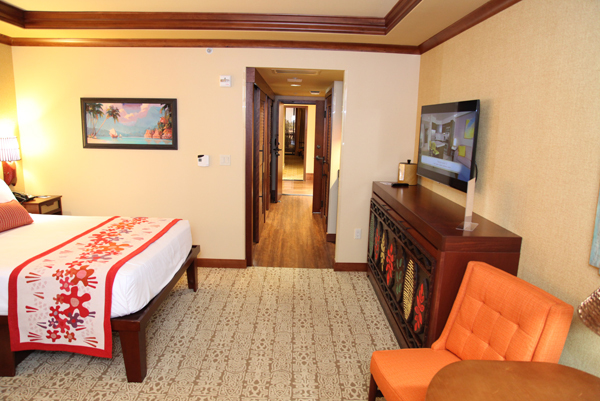 Want to see more of the Polynesian DVC Villas Deluxe Studio Room? Check out the video below.